Written by Erwin Lima (this article was originally published on Erwin Lima’s blog, here). Gary Vee says we should celebrate small wins. I agree. 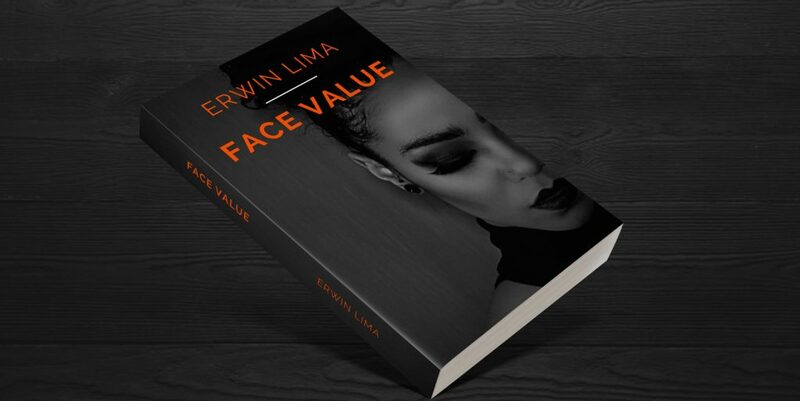 My debut mystery novel Face Value, which I released as an online serial novel on Microsoft Sway and at www.facevaluethebook.com a little over a year ago, has recently crossed the 10,000 reader mark. How did I cross that threshold? And how do I keep growing? My goal for readership of my debut novel, from the get-go was a sky-high 1 million readers, which was intentionally absurd. Looking back now I can say I’ve reached thousands of people and converted over 10,000 of them to readers, which is amazing. I thought I’d share my thoughts and my journey with other (aspiring) writers who might not have gotten so lucky just yet. What if the key to having it all, was suddenly thrown into your lap one day? All of the money, success, love and attention you could ever have imagined. Would you be able to believe in it? What would be the value of it all? Would it be real? And; who does she keep texting? Face Value was released as a multimodal online series in September 2016, and revamped – with the help of reader feedback and a reading platform called Sweek – in late 2017. What were the factors involved in getting an unknown, indie writer in front of an audience of 10,000 engaged readers? There’s an incredibly competitive online media landscape full of content out there as it is. Likely it was luck, honing the craft, and a lot of help from people who genuinely wanted me to succeed. In every endeavour, there are a thousand factors at play, and you can only ever partly control a handful of them. I got lucky with Sweek.com picking me up, with several online influencers sharing my updates and my story, and of course with the help of my wonderful team and my lovely readers. All of the choices from all of these people were largely beyond my control. Reaching out to people who could possibly improve my writing and readership. Luck is something that grows with every new arrow you shoot. Although I consider myself an inexperienced author, I am a professional writer. I’ve had quality training in writing both in academics and in courses as a professional. I’ve been working in marketing, copywriting and content strategy for over five years now, and summarize my job by saying “I get paid by the keystroke”. I learn and try to improve with every piece of feedback I receive from one of my co-workers, clients or other stakeholders. I have learned a lot from reading about writing online, and through reflection upon my writing, with and without the help of others. Pro tip: Try to be humble, and detach your personal feelings and self-worth — or ego — from your creative process. Keep the goal in mind and see how feedback and reflection can get you closer to it. As far as my creative writing goes — I guess we could say that I’ve had a semi-professional career as a singer-songwriter in the past. But when it comes to writing as a novelist, I needed as much learning opportunities and feedback as I could muster. I read four or five of the most popular novels at the time (including the painful to read “50 Shades…”, seeing if I could figure out what the writers were doing stylistically and in terms of story arc and character development that readers respond to, to see what I could steal or borrow. I asked people I trusted to provide feedback for my first ten pages, then again for my first forty or so pages, and then finally for my finished draft. I asked people I hardly knew for feedback on my final “draft”, and continued to ask feedback from online readers after the first publishing online in 2016. I used online data analytics for visitor numbers to my site and reads on specific chapters — to see where I was captivating readers’ interest and where they were dropping off from the story. I improved my writing and Face Value specifically with the help of all of the above, resulting in the story you can find here, now. Firstly, my significant other (my very talented girlfriend) was a great help in supporting me to do something as ridiculous as self-publishing my debut novel as an online, multimedia series, for free. A beautifully photogenic friend of mine read the story, and decided to lend her face and insane photo-acting skills to the photo- and video shoot we did for the project. My girlfriend’s bestie helped out by doing the make-up for the visuals we were shooting. Friends and friends of friends acted as extras. 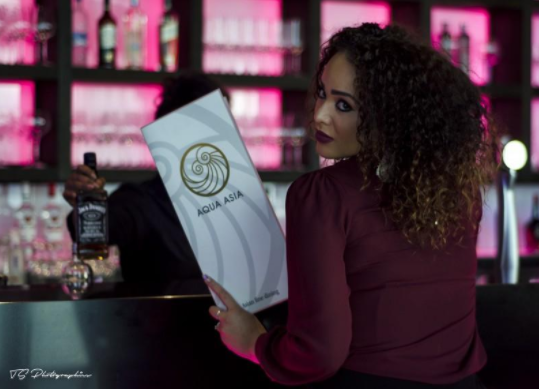 Several awesome places in my hometown (Rotterdam) served as the venues and decor. My friends and family who proofread were never obliged to. Neither were the English teacher and the published best-selling author who proofread parts of the story. Let alone the online readers who decided to give Face Value a shot, or to share it with their friends. Last but not least; Sabine van der Plas and Sweek, who decided to give the story a huge boost in the second run, by putting it up as a featured story in their English section — and promoting it with not one but two separate competitions among the readers on their wonderful online reading platform. It was Sweek that helped me grow from 6,500 readers to over 10,000. And that made my book available as a paperback. Lest I forget; Horned Horses provided three free organic Face Value hoodies for one of the give-aways Sweek organised. How could one ever thank any of these people enough?